Gekyume Onfroy has his own chain now. He may only be a few months old but once he hits daycare, Gekyume Onfroy will be the most stylish kid in the room. XXXTentacion's son was born this year and his family has been sharing photos of the little one all over social media. With each passing day, you can see that Gekyume is starting to look more and more like his father, already having the same eyes as X. Yume also has similar taste as his dad, showing off his first-ever custom chain on his grandmother's social media pages. Cleopatra Bernard, X's mother, has been uploading photos of baby Gekyume, going crazy over the newest member of her family. She must have felt like spoiling her grandson because she copped him a brand new chain, which is probably far too heavy for his tiny neck. XXL provided a photo of the necklace, which spells out the child's nickname in flashy diamonds with a gold link chain. 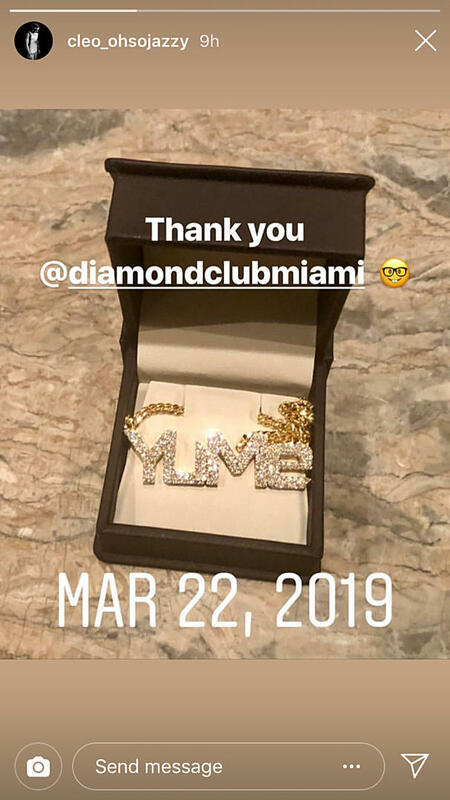 Cleo thanked Diamond Club Miami for making Yume's first piece in her caption. In a television interview, Jenesis Sanchez, XXXTentacion's son's mother, explained what Gekyume's untraditional name means, saying, "Gekyume means different state or universe of thought." Take a look at the baby boy's new chain below and let us know your thoughts.